How do you typically pay for big expenses? If you’re like most people, you likely turn to credit cards for major costs – and, even if you pay your bill on time, this may be working against you. That’s because credit score calculations take a number of different elements into account, one of which is the mix of credit forms you utilize. By relying too heavily on a single type of credit, you create a serious imbalance that can make it harder for you to access credit in the future. Originally an acronym for the data analytics firm Fair, Isaac, and Company, today FICO is one of the major credit score providers, and the one most people know. When you apply for credit, then, lenders and credit card companies will typically look at your FICO score as well as some of the finer details of your credit report to determine whether you qualify. Even arriving at the initial FICO score, though, requires some complex calculations. What does all this mean? It means that how long you’ve been building your credit, whether you pay it reliably, and the number and types of accounts you have all matter when attempting to get more credit. And, though it’s one of the small factors, new credit is important. Too many new accounts can work against you and make it harder for you to access additional funds. Credit mix accounts for the same percentage of your credit score as new credit, but this element often isn’t given its due. What it ultimately means, though, is that you need to think broadly about what kinds of funding you can access, from car loans and home equity loans to traditional credit cards. When you’re thinking about borrowing money, you need to broaden your scope. As noted above, credit cards are the most common way that individuals take on debt. That’s because credit cards can be used for large and small purchases, are portable, and you can easily apply for them. It’s also common for people to have more than one. As you use your credit cards, though, remember that your credit card companies are developing a big picture representation of your financial habits. Not only does your credit card company know and help to develop your credit score, credit card companies know your income to debt ratio and credit utilization, your location, vacation habits, and how reliable you are as a client. They even develop a sense of your monthly spending patterns down to the daily level. This means that your credit card company may know when you get paid, whether your paycheck is enough to get you through the month, and whether certain daily or weekly behaviors have a negative impact on your overall financial wellbeing. Thinking beyond credit cards, one popular option for diversifying your credit holdings is the personal loan, and there are definite benefits to this approach. First, by taking out a personal loan, you obviously expand the types of credit in your credit mix, which can give your credit score a boost. Second, personal loans can be used to both pay for major purchases in place of a credit card as well as to consolidate your debt. By using a personal loan to consolidate credit card debt, and if you have a loan with a good interest rate, you’ll not only simplify the payment process but pay less total interest. 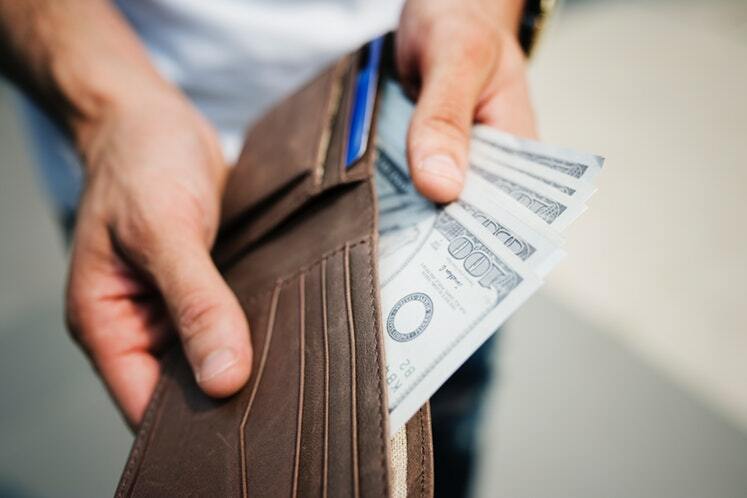 Despite these obvious benefits, most people don’t take out personal loans unless they’re in a difficult position because we are offered so many specialized loan options. Instead of a generic personal loan, most people opt for mortgages, car loans, student loans, or other niche options. These purpose-oriented loans are a good way to ensure that funds are used in their intended way, but that shouldn’t mean that personal loans are overlooked. Mortgages are another common source of personal credit, and in terms of scale, they are among the most sizeable single source loans. Their size and function, though, means, that only a portion of individuals have need or access to mortgages, and even among those who have mortgages, they may be on homes that they can’t really afford. That’s why, if you have a mortgage, you need to think about how you can make it more affordable so that your home loan doesn’t cause your credit score to take a hit. It may seem silly, or at least circular, but one way to get a more affordable mortgage is by improving your credit score. When you have a better credit score, you are able to qualify for a better mortgage rate on your home – meaning lower interest and fewer added costs. If you’re considering buying a house in the near future, then, you should start thinking about your credit mix now and avoid applying for any other new credit lines. All of this will help you boost your score and earn the trust of lenders when you do apply for a mortgage. One of the first elements of debt diversification for many people is the student loan. Signed at age 18, and often cosigned by parents, this first debt ranges in size; some people start out life buried in debt while others have only a small amount of student loan debt. In recent years, though, the average student loan debt has skyrocketed, and more than 10% of loans are over 90 days delinquent or in default. Young borrowers need to be careful about how they manage their student loans because failure to pay them regularly can serious damage your credit scores. As such, while student loans may provide some diversification in terms of credit mix, if they aren’t paid regularly, they’ll damage the larger elements of your FICO score – payment history and accounts owed. So while it may be unrealistic to pay off student loans quickly, with many graduates taking well over a decade to pay off their loans, more students need to find ways to pay these loans regularly and stay out of default. Poor management of student loans will hold you back. So how do you diversify your credit without ending up with too much debt? There are several steps you can take. Monitor Your Credit Score: The most important thing you can do if you hope to diversify your credit mix is to monitor your credit score, and there are a few ways to do that. Many banks and credit card companies offer members free access to their credit scores, but they aren’t always entirely accurate and they usually only provide one score. Each of the major credit score companies is required to provide a free copy of your credit score once a year, though, so take advantage of that. Review your credit report carefully to ensure there aren’t any errors that are damaging your standing. Boost Your Score First: Yes, diversifying your credit will improve your credit score, but remember that it’s only a small part of your score. Before you apply for additional credit sources to create a better mix, then, work on improving your score. The better your score is when you get started, the better the APR and limits you’ll be offered by lenders when you apply. You can’t improve your credit score based on only a single element of the formula. Apply Within Your Limits: Don’t apply for new credit that you’re unlikely to qualify for. Whenever a lender checks your credit, they perform something known as a hard inquiry. The larger the number of hard inquiries you have, the lower your credit score falls because this serves as evidence to lenders that you’re repeatedly applying for and failing to secure new credit. A declined application is more serious than you might think, so focus on attainable credit lines. Pay Off What You Can: If you have multiple credit lines of the same type, such as several credit cards, work on paying one or two of them off as you develop your mix. Having multiple credit cards doesn’t necessarily work in your favor if you’re trying to establish a good payment record and a better mix. Be Patient: Your credit score will follow you for the rest of your life, so don’t worry about improving it overnight. While giving it a boost is important, do this on a timeline that you can afford. This will help you build a positive payment history and extend your overall credit record, making you a better contender when applying for new forms of credit. Remember, credit mix is just one element of your credit score, so manage your money wisely and stick to your strategy. Mixing sources matters, but it’s ultimately secondary to improving other elements, such as payment history and accounts owed. Don’t sacrifice one to work on the other.